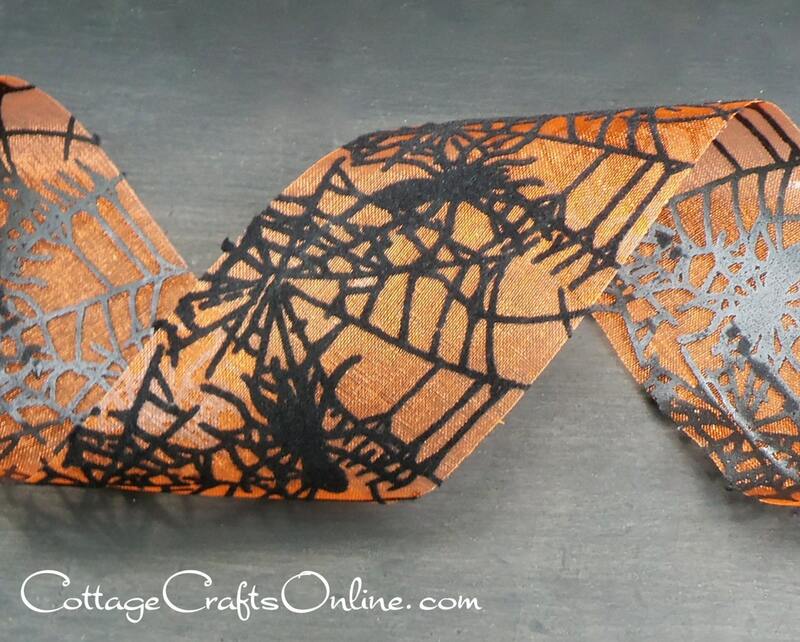 Flocked black spiders work silently on their webs, crawling relentlessly toward Halloween fun on a sheer 2" wide orange ribbon trim from May Arts. The ribbon is NOT wired, making it perfect for card embellishments, sewing and as a tabletop runner. This listing is for a 30 yard roll.